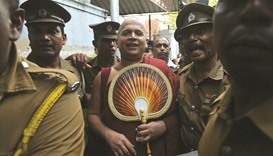 Namal Rajapaksa (C), son of former Sri Lanka's President Mahinda Rajapaksa, leaves with prison officers at the court after being arrested in Colombo, Sri Lanka. 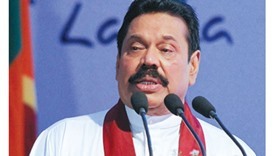 Sri Lankan police arrested the eldest son of former president Mahinda Rajapaksa on Monday for misappropriation of funds in an apartment project, his lawyer said, the third member of the once-powerful family to be detained. Namal Rajapaksa, who is also a member of parliament, had been questioned by financial police investigating the $650-million high-end project in the capital Colombo. 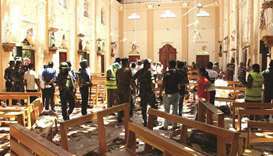 He appeared before a court on Monday and was remanded in police custody for a week, his lawyer Premanath C. Dolawatta said. Namal has denied any wrongdoing and said the government was on a witchhunt of its political rivals instead of delivering on its promise of good governance. 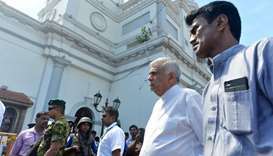 Since he swept to power in January 2015, President Maithripala Sirisena has launched a series of investigations into deals that were cleared by his predecessor Rajapaksa and his family members, some of whom were in the cabinet. 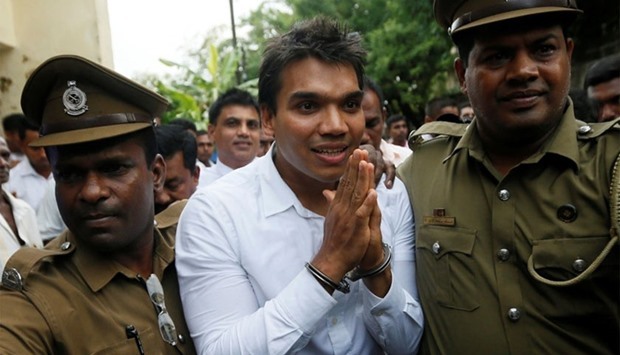 Namal's uncle Basil Rajapaksa, who headed the economic development ministry, was arrested over the misuse of an anti-poverty government fund and under anti-money-laundering charges. 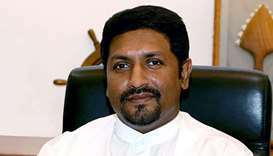 Another son of Mahinda, Yoshitha, who led the national rugby team, was arrested under the money-laundering law in February. The former president's wife is also facing investigation for financial impropriety, while another brother, Gotabaya Rajapaksa, is accused of running a "private military" while he led the defence department. 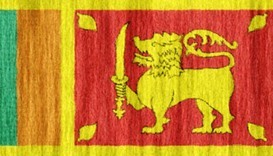 The Rajapaksas have denied the allegations. "This is the good governance," Namal told reporters as he was taken to court. The former president, in a Facebook post after the arrest, said: "I will be in politics for the people of this country even if my entire family is jailed."